Week 5 of the NFL season closes things out on Monday Night Football with an AFC clash between a pair of 2-2 teams when the Pittsburgh Steelers make the trip to the West Coast to face the San Diego Chargers at Qualcomm Stadium. 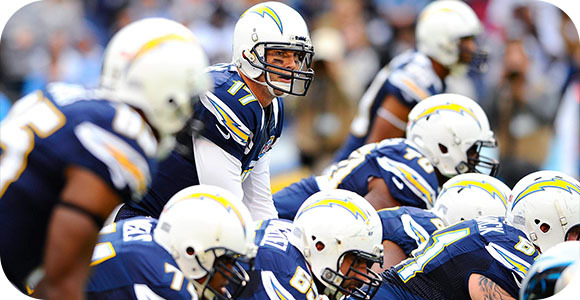 BetOnline has listed the Chargers as three-point favorites and the betting odds for the total are set at 45.5. The Steelers began life without Ben Roethlisberger as their starting quarterback with a tough 23-20 overtime loss to Baltimore last Thursday as three-point road underdogs. It was a game they probably should have won, but it still goes down in the books as a loss. The total stayed UNDER the 44-point closing line and it has now stayed UNDER in three of their first four games. Michael Vick is now under center for Pittsburgh and while he did show some obvious signs of rust in last week’s loss, he still completed 19-of-26 passes for 124 yards and a score. He also showed some flashes of his former self with 33 yards on the ground. To turn things around against San Diego look for a heavy dose of Le’Veon Bell running the ball after gaining 129 yards on 22 carries against the Ravens. San Diego evened its record on the year to 2-2 with a 30-27 victory against Cleveland last Sunday, but it could not cover as a five-point home favorite. The Chargers are now 1-3 against the spread with the total staying UNDER in two of their last three games. They have scored 30 or more points in both of their first two home games this year. The overall success of this offense still revolves around Philip Rivers moving the ball down the field through the air. He passed for 358 yards and three touchdowns against Cleveland and on the year he has 1,248 passing yards and eight touchdown throws. Overall, the Chargers have racked-up an average of 411 total yards of offense a game, which is third-most in the NFL. The Steelers are 6-1-2 ATS in their last nine games and they have won four of their last five road games SU. While San Diego has failed to cover in six of its last seven home games, it does have a 10-3 record SU in its last 13 games at home. This game is too close to call in my book as far as a side, so I have turned my attention to the betting line for the total. It has stayed UNDER in five of the last seven meetings between these two in San Diego, but I am going with the OVER this time around in what should be a high-scoring affair.